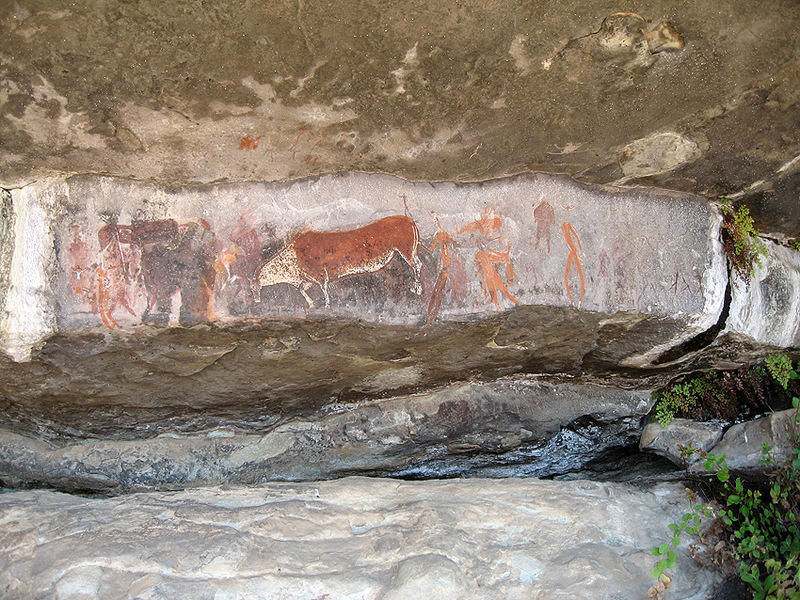 By linking specific San beliefs to recurrent features in the art, researchers have been able to crack many of the codes of San rock art. Unfortunately there are no recorded interviews with the painters themselves, in order to shed light on the paintings. 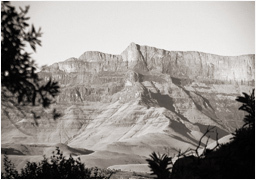 However, in the late nineteenth century a Bushman named Qing guided Joseph Millerd Orpen, a magistrate from the Cape colony, through the Drakensberg. 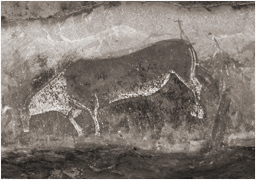 On their journey, Qing and Orpen came across many magnificent paintings in rock shelters. Orpen was so impressed that he copied several of them. He then sent these to a magazine editor in Cape town, who showed them to a Dr Wilhelm Bleek. Bleek was a German linguist who was living in Cape Town. He was studying the language of the /Xam people - a San group from the Northern Cape - at this time. When Bleek showed Orpen’s drawing of the strange looking animal to the group of /Xam San he was interviewing, they immediately saw in it 'the rain animal', and proceeded to explain its spiritual and religious significance. It was this historical explanation that began the decoding of the paintings. 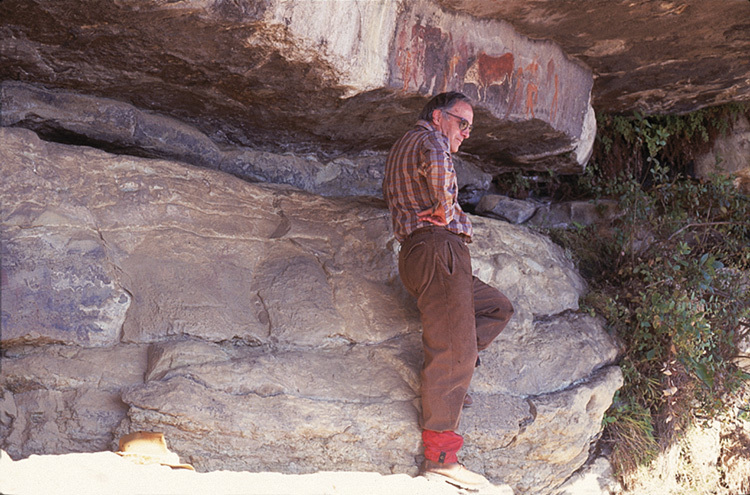 It was then the work of Professor David Lewis-Williams, the South African scholar and professor of archaeology at the University of the Witwatersrand in Johannesburg, South Africa, threw more light on the paintings. The 'Rosetta Stone' of this rock art is located at the Game Pass Shelter in the Drakensberg Mountains. "One day, I was looking at a picture in which there was a dying eland and a man apparently holding its tail. The man had hooves, like the eland; his hair was standing out, like the eland's hair; his legs were crossed, in imitation of the eland's legs," he explained. Studying this detail, the meaning fell into place: both the eland and the man are behaving as if they are dying. The man is a shaman going into trance. He is about to leave this world for the spirit world, and he is taking on the power of the eland, the most powerful animal of all, and the god /Kaggen's favourite. Trance is so overwhelming that it is difficult to describe. 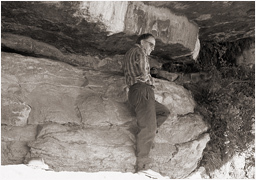 To explain it and to help people who were not shamans to see what they had been through, the painters of rock art images looked for comparative experiences. Crossing over to the spirit world during trance could be compared to 'death'. This did not mean that they actually died, but that they believed that while they were in trance, their spirits would leave their bodies and meet others in the spirit world. 'Death' is used as a metaphor for the trance state. Trance is very much like death. Sometimes it is called 'half-death'. Professor Lewis-Williams explained how all this suddenly made sense to him: "I saw that the dying eland was a metaphor for the dying medicine man. Shamans are said to die when they enter the spirit world through trance. And sthe dying eland is a source of potency (spiritual power)." To show their experiences, the artists also used visual metaphors such as showing shamans 'underwater' and 'dead'. These capture aspects of how it feels to be in trance. The artists also show their actions in the spirit world, such as their capturing of the rain animal, their activation of potency for use in healing or in fighting off enemies or other dangerous forces. But, the art was far from just a record of spirit journeys. Powerful substances such as eland blood were put into the paints so to make each image a reservoir of potency. As each generation of artists painted or engraved layer by layer of art on the rock surfaces their expansion created potent spiritual places.